Kash Ghori has more than 15 years of experience scaling and transforming mid- to-large size organizations and government agencies through the adoption of advanced technologies and industry specific best practices. In 2011, Kash founded Kash Solutions, a service provider and partner of SAP Ariba, to digitize in-place supply chain processes by delivering advanced end-to-end, source-to-pay solutions. He has been instrumental in transforming the procurement and invoicing processes for Wiley, a well-known publishing firm, and helping them realize over $300M in spend. Kash Solutions was acquired by 10Pearls in 2018. 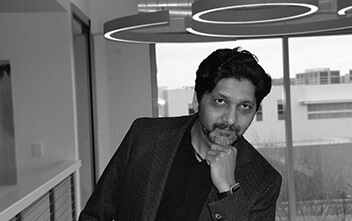 Kash has previously served in key roles such as Cloud Solutions Program Manager at SAP Ariba, Ariba Specialist for Verizon, Apria Healthcare, Sirva, Howard Hughes Medical Institute and Senior Engineer for Adveritising.com (AOL). He has a Bachelors in Computer Science from University Maryland.